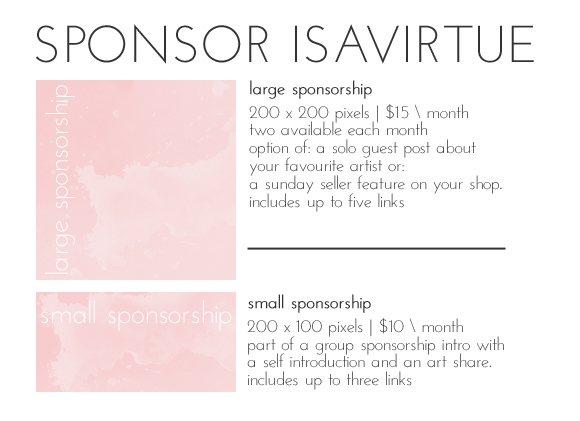 i'm very excited to introduce sponsorship on the isavirtue blog today! i love the idea of sponsorship - the reciprocity and of course the friendships which come of it. there will be two sizes available - large and small. i will offer sponsorship on a month by month basis and ideally i would prefer blogs and shops which share similarities with my own. this will ensure that my readers will be interested in what you have to offer as well! i've listed the perks in the image above and the information can also be found on this page. my blog is a very special space to me and i wanted to put a great deal of thought into how sponsorship could work for me, my space, and my sponsors as well. for this reason, i've tried to incorporate the theme of art into the sponsor posts. i would be happy to create your ad for you - i am a big fan of simple, eye catching images with modern fonts. 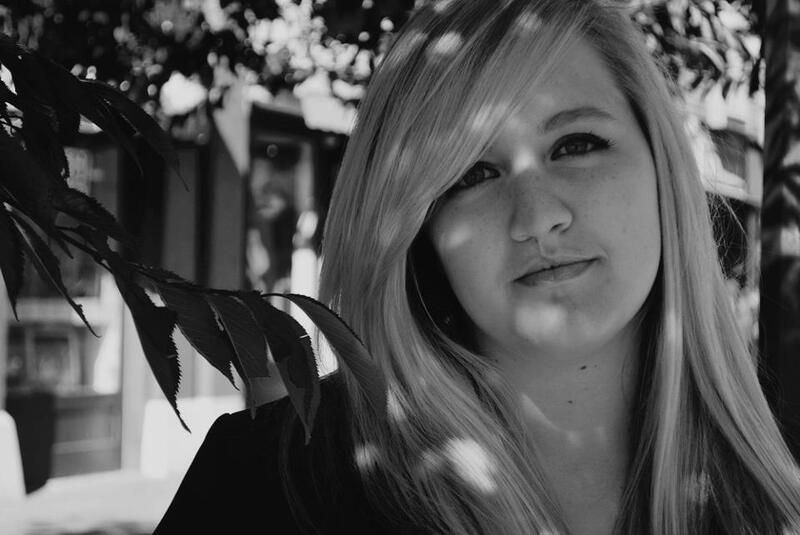 click here to see an example of what i consider to be beautiful sponsor spots! isavirtue is a great blog to sponsor - i am dedicated and consistent, i blog every day and i have a schedule with features that people look forward to on a weekly basis. please contact me if you are interested in taking advantage of this opportunity - i would love to have you partner with the isavirtue blog!! simply email me your preferred size, your name, pay pal email, url and a little bit about you and your blog or shop. i'll follow up with an email, and an invoice for the monthly amount. thanks for your time ladies!